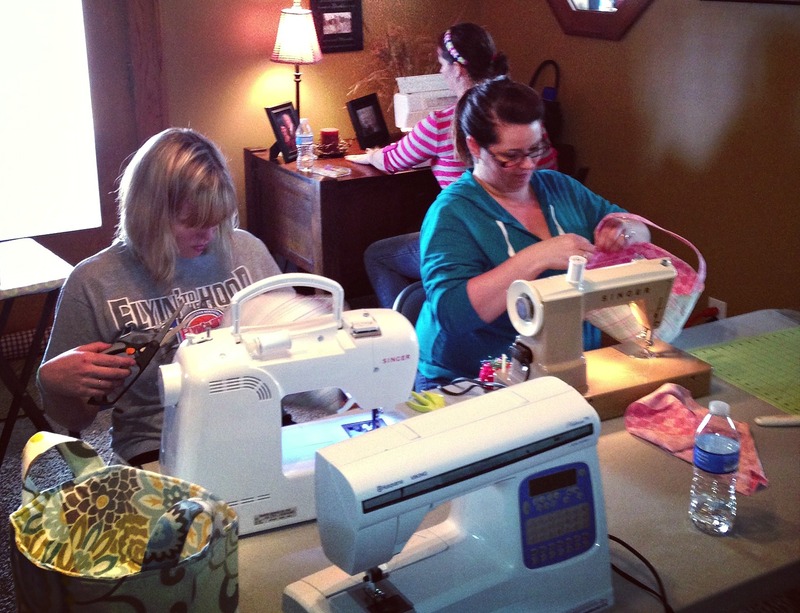 What do you get when you add wine to a sewing club? Lots of seam ripping and some unlady like words. This past weekend some friends meet for what we like to call our Sew Winey Club, basically a couple hours away from the kids and husbands. You never know what is going to happen during the project, things get cut wrong, sewed wrong, and the seam ripper seems like it never gets a rest. But we always have fun and laugh a lot at all our mistakes. This months project was Easter Baskets using my tutorial from my past blog post. Here’s to happy sewing and seam ripping.